If people were strictly logical, there would be no marketing. Instead, you’d have a product that fulfills a need, like a hammer or kitchen knife. People would understand this need and obtain the product. Given that this society would likely be communist, there wouldn’t be competing manufacturers. I need to cut onions to eat them, so I get the one knife available to do the job. However, this is hardly the case. People are – for the most part – illogical, and our consumer-based, capitalistic culture promotes the creation of a myriad of products and services, many of which fulfill no functional need at all. The most effective marketing is not based on function or facts. Instead, it’s a story based on lifestyles, status roles, and self-perception. I need a new kitchen knife. So which one does Bobby Flay use? No, I think maybe I see myself a bit more like Gordon Ramsey nowadays, since I like dropping f-bombs when those onions make me cry. I see myself as an excellent home chef. A knife from Walmart doesn’t cut it for someone with my skill. I do some online research and discover well-reviewed knives on several cooking websites, including WÜSTHOF. I visit their site – and discover their story. A family-owned business based on precise German manufacturing. A commitment that includes environmental awareness and sustainability. Yes! That’s exactly how I feel! I didn’t go to culinary school, but worked in restaurants and developed my own craft. Then I watch Sam and a few other chefs prepare some awesome dishes on the website videos, and I know. I see myself slicing and dicing with a WÜSTHOF knife. I’m sold. Now, do I really need this level of knife? Probably not. A Walmart version would still get the job done. But I don’t see myself as that level of home cook. I’m a gourmet who needs better. Ya, it costs 5 times as much, but it will last my entire life. It’s not just the quality of knife that sold me. It’s the affinity I feel for the company and chefs who use their knives. I’ve created my own hero shot and built their product into my life. A lifestyle brand markets its products in a way that embodies the interests, opinions, backgrounds and attitudes of its target audience. In essence, lifestyle branding is used to create intangible added value. It’s the storyline that suggests the product has attributes that go beyond its features or their direct benefits. The idea that drinking Coors beer means you’re unpretentious, having an iPhone means you have a meaningful social life, or driving a Subaru means you care about the environment. Lifestyle branding is the main marketing tactic for products that don’t have a utilitarian function, such as fashion brands or recreational products/services. Our communist society of logic would never know Ralph Lauren or vacation at Disneyland. But with digital marketing in commerce-based society, the right story sells. I buy a knife because I need to cut-up food, but it’s the story that initially draws my interest with WÜSTHOF. I buy it, and I’m certain my food tastes better because I prepped it with a real chef’s knife. A great example of lifestyle marketing comes from Red Bull. They have a massive content publication machine that covers their digital marketing, including social media. What’s really interesting about Red Bull is that they present this adventure/extreme sport lifestyle story without referencing the benefits of their product. Just by promoting this lifestyle, they’ve built the biggest energy drink brand in the world. Lifestyle branding also ties into status roles. Often, as a brand tells a story, that story is about how your life will be more unique, interesting, and exciting as a result of using the product. Or it may tell a story of how you’re a better parent or spouse. Of course, the story frequently has an underlying theme of how the product boosts your sexuality. This isn’t just a beer you drink. It’s a lifestyle choice. 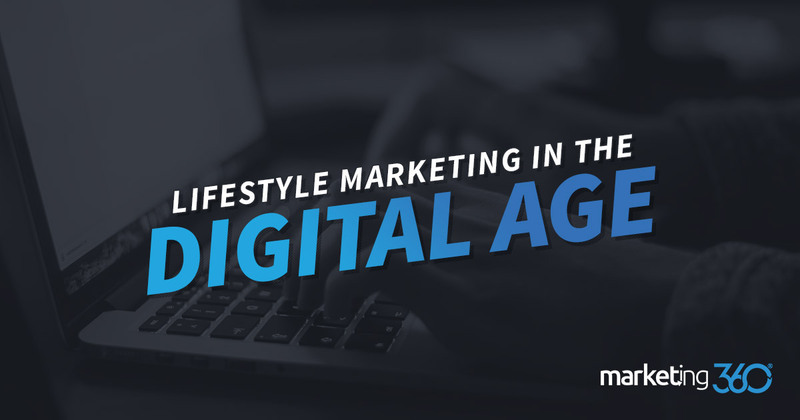 One of the main reasons lifestyle marketing is so important today is because there are so many new ways for brands – and people – to publish their stories. Just 30 years ago, most small businesses bought a yellow pages ad. That was their advertising. Today, we have websites, videos, and social media platforms. There is a whole new world of storytelling taking place on digital. We experience – and tell – stories through our phones. These communication channels are the reason lifestyle marketing is now so important. The way we see ourselves and communicate our story to the people in our lives has fundamentally shifted. Interactions today have a digital interface, particularly for generations growing up with mobile technology. Ivory Ella supports habitats for wild elephants. That cause is branding and the lifestyle they promote. 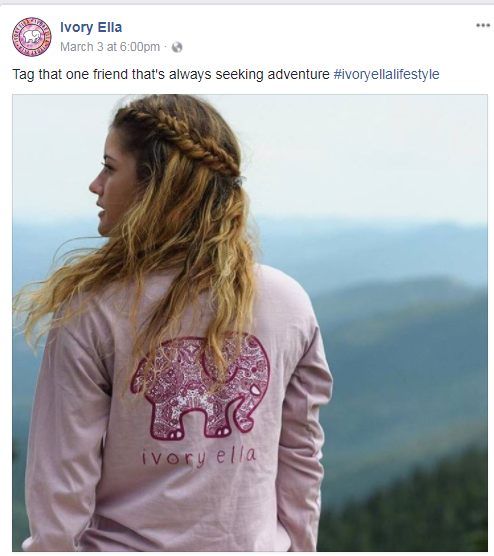 Their customers share images of themselves wearing Ivory Ella clothes, and the story spreads across the internet. Brands don’t always have to create their own story. They can become part of someone else’s story and connect to their lifestyle. For example, a Marketing 360® client who sells clothes became part of the Instagram story of a popular singer. As her followers saw her wearing these clothes, it influenced them to become part of the story – by purchasing the same clothes. Today, we’re all writers, photographers, and storytellers. Digital lifestyle marketing is about being part of those stories. Lifestyle marketing is not an invention of marketers. Rather, in this case, we’re following the real leaders. Those leaders are consumers themselves. People’s attitudes towards the products they use are changing. They want products that fit into how they live their lives overall. They only connect with brands that they feel are either a reflection of who they are, or a reflection of who they’d like to be. It’s not just the features of a product that sells. It’s not even powerful, useful benefits. People buy Michelob Ultra because they see themselves in those ads. Red Bull is synonymous with the adventurous, daredevil life we’d all like to lead. We can wear Ivory Ella and become part of a story we’re proud of. The line between the products we use and the lifestyles we lead is disappearing. Few people use products from brands they dislike just because of their utility. On the other hand, we frequently make purchase decisions because we think a product is right for us; we feel an affinity with the brand. We publish our lifestyles online, and the stories we tell become part of our self-perception. Having your brand be part of those stories is a powerful marketing strategy.